Penny Eckman (above) will perform a number of Patsy Cline’s biggest hits at the Rialto Theatre in Canton on Thursday, Oct. 9. 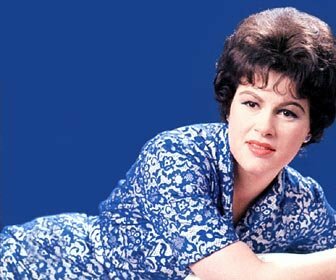 Patsy Cline enjoyed a relatively brief but illustrious career as a crossover country/pop artist who endeared herself to many as a winner of the Arthur Godfrey Talent Show on television in 1957 and broke hearts when she died in an airplane crash in 1963. Though she offended some in the country and western music establishment with her lush renditions of country ballads, she garnered the favors of other established country artists with whom she shared the stage and studio. Her posthumous popularity was rivaled only by fellow country star Jim Reeves, with whom she recorded an album in 1960. Fittingly, one of her highest charting hits was a duet with Reeves that peaked at #5 in 1981, 18 and 17 years after hers and Reeves’ deaths, respectively. On Thursday, Oct. 9, professional singer Penny Eckman will bring the breezy passion of Patsy Cline back to life with a live performance at the Rialto Theatre in Canton. The show is sponsored by the Bradford County Regional Arts Council (BCRAC) as a continuation of the Thursdays at the Rialto Series. Tickets for the Penny Eckman show are $12 for adults and $10 for students and seniors citizens and can be ordered by contacting BCRAC at 570-268-ARTS (2787) or online at www.bcrac.org. In November, Thursdays at the Rialto continue with a holiday performance by Kristin Fisher on Thursday, November 20. The Thursdays at the Rialto Series is sponsored by Arnot Health.